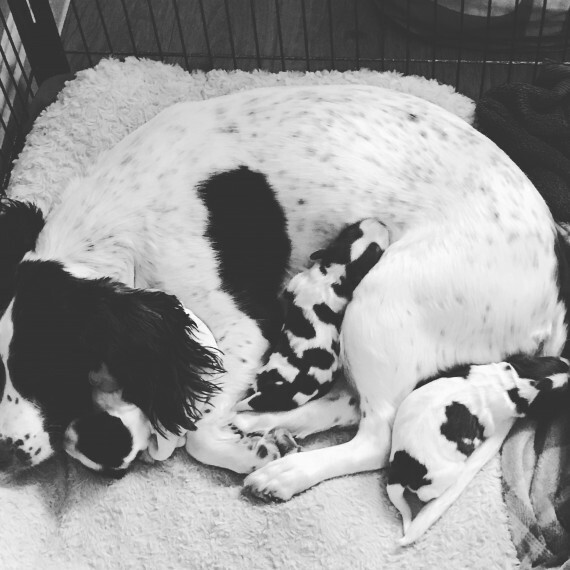 **** only 1 liver and white girl 650 and black and white boy 600 left ****Ready to leave 1st May will be vaccinated, wormed and micro-chipped . Not going to be kennel club registered . NOT docked. We own both mum and dad, although dad is staying with friends at the moment, mum can be seen . Non refundable deposit secures 50. Any questions don?? hesitate 5* homes wanted please.